A German company called BigRep GmbH is making an interesting 3D FDM printer that offers a massive 1.3 m3 volume (1100 x 1067 x 1097mm) giving you the ability to 3D print really big things. The printer is called BigRep ONE and is essentially an FDM (Fused deposition modeling) 3D printer that extrudes thermoplastic just like the smaller and more affordable devices are. While having up to 27 times the volume of a large desktop 3D printer, the BigRep ONE.2 costs only about 5 times as much as the biggest desktop machine available from other manufacturers. Do note that the information available on the official website could be a bit confusing and contradicting as apparently it has not been updated to correctly reflect the updated specifications of the new BigRep ONE.2 everywhere (apparently a version 2 of the device). The resolution that the printer supports is from 100 micron (0.1 mm) to 1 mm, equipped with dual nozzle extruder, heated build platform and designed to print using PLA, CoPolymere, Laywood and Laybrick filament, though it can also print with various other materials, but support for them is considered experimental. The suggested retail price of the device is €36000 EURO and the transport would add some extra along with setup and installation fee should you need assistance with that. Do note that the BigRep ONE.2 3D printer itself if quite big which is expected for a device with such a large build volume. It is surely an interesting products that shows the possibilities of larger scale 3D printing for businesses that are not able to invest hundreds of thousands for hardware. 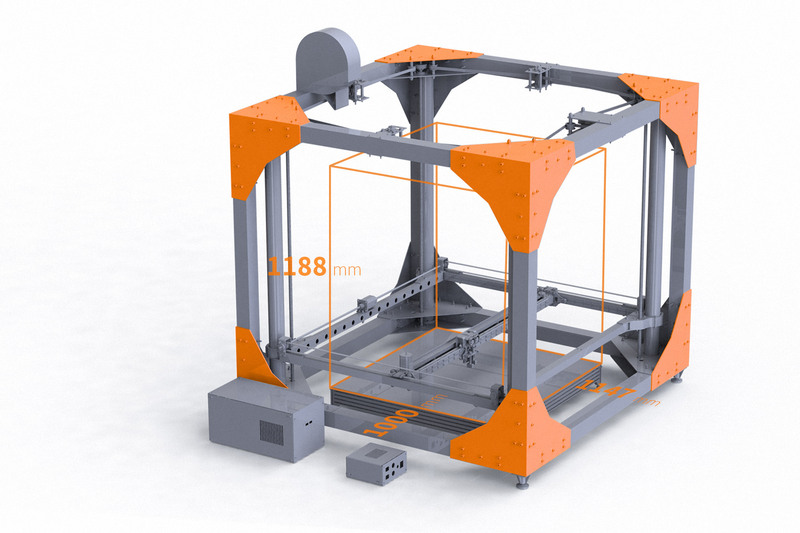 – For more information about the BigRep ONE.2 large build volume 3D printer….